There have been extremely dramatic developments this week in connection with two of our campaigns. On 13 December 2010 we supported an appeal (see Fig. 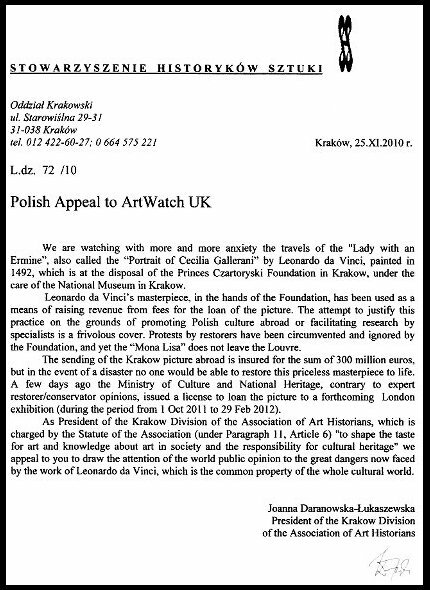 2) from scholars and conservators in Poland who opposed the lending of Leonardo da Vinci’s “Lady with an Ermine” to a forthcoming blockbuster exhibition at the National Gallery in November 2010 to February 2012. (We published a photograph of a National Galley painting that was recently dropped and smashed when being taken down from a special exhibition at the National Gallery – see Fig. 3. Today, the Observer reports the vandalism of a Poussin painting yesterday at the National Gallery – see Fig. 4. The Poussin was attacked at the gallery in 1978. The National Gallery, we understand, is presently considering reducing the number of its warders.) That appeal from Poland and our support for it, was reported in the Observer of 12 December 2010. We were subsequently attacked in personal and organisational terms by Count Adam Zamoyski, the board chairman of the Czartoryski Museum, which owns the Leonardo. To those attacks (and almost identical ones made by the Guardian’s art critic Jonathan Jones) we responded in a post of 29 December 2010. On Thursday this week (14 July 2011) it was reported that, “in order to improve the functioning of the Foundation of the Czartoryski Princes and to assure the correct collaboration with the National Museum in Krakow,” Prince Adam Karol Czartoryski, heir to the collections of the world-renowned Czartoryski Museum, has approved the dismissal of the enterprise’s entire management board, including its chairman, Count Adam Zamoyski. Last Monday (11 July 2011) we reported the electrifying disclosures contained in Sandy Nairne’s forthcoming book on the recovery of two stolen Turners (“Art Theft and the Case of the Stolen Turners”). Today, the Independent on Sunday examines the deal by the Tate and the insurers of its stolen Turners that was brokered by the then Labour Government’s Paymaster General, Geoffrey Robinson (“The stolen Turners, the Serbian underworld, and a £24m insurance job”). As the paper’s Matthew Bell writes, the deal was one “in which the Tate received a £24m payout but then kept most of the money” when the paintings were recovered, in order to help the funding of Tate Modern. It is further reported that the insurer, Robert Hiscox, describes that payout (a “£22 million bonanza” according to Geoffrey Robinson) as having been a “good deal for the country, but a terrible deal for us”. Admitting that he had acted out of his love of art and a wish to help the Tate, Mr Hiscox (quite sensationally) claims that at the time the help was given, “We knew who had the paintings”. Can that be the case? 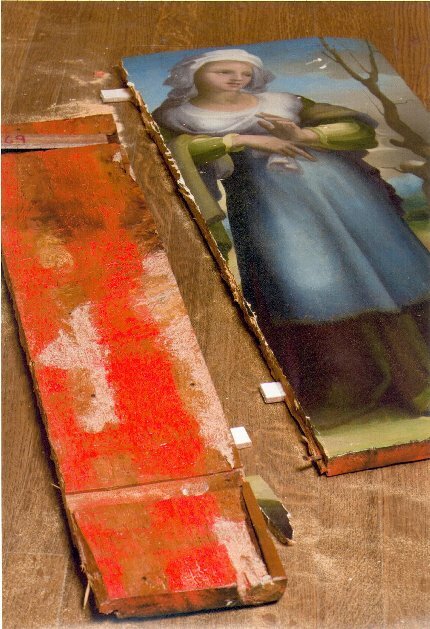 Mr Hiscox has explained that although this knowledge had been gained, the insurers had believed that the paintings “would be in a rotten condition by now” when, in fact, as a Tate press release of 20 December 2002 (“Tate’s stolen Turners are recovered”) put it, both paintings were “in good condition” when recovered. Above, Fig. 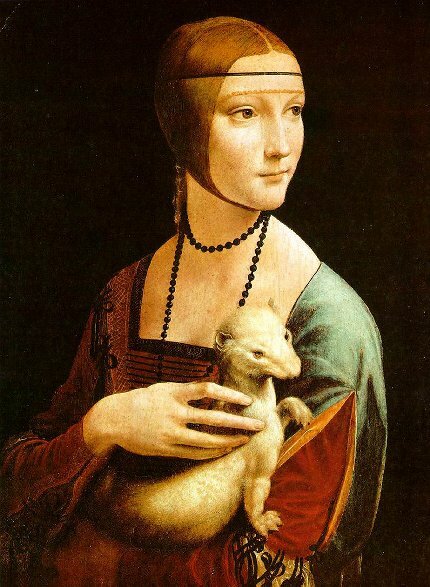 1: Leonardo da Vinci’s late 15th century “Lady with an Ermine” which has been loaned abroad many times (for fees) by the Czartoryski Museum, Krakow. Above, Fig. 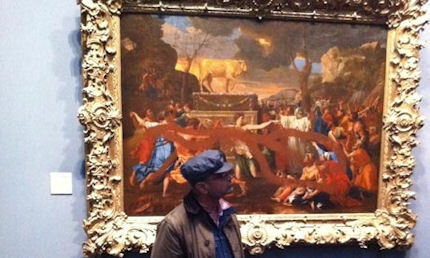 4: a photograph by Steven Dear which is published in today’s Observer, accompanying the report by Cherry Wilson of an attack made yesterday on Poussin’s “The Adoration of the Golden Calf” at the National Gallery, allegedly by a 57-year-old man. This entry was posted on July 17, 2011. It was filed under blog and was tagged with "Art Theft: the Case of the Stolen Turners", "The Unconventional Minister", Accidents at the national gallery, Attacks on National gallery paintings, Geoffrey Robinson, Hiscox Insurance, Leonardo's Lady with an Ermine, Nicholas Serota, Poussin's "Adoration of the golden Calf", Robert Hiscox, Sandy Nairne, Tate gallery press releases, The Czartoryski Museum, The National Gallery, The Tate's stolen Turners.